ISF Coaches Take the Lead! August 30th, 2017. 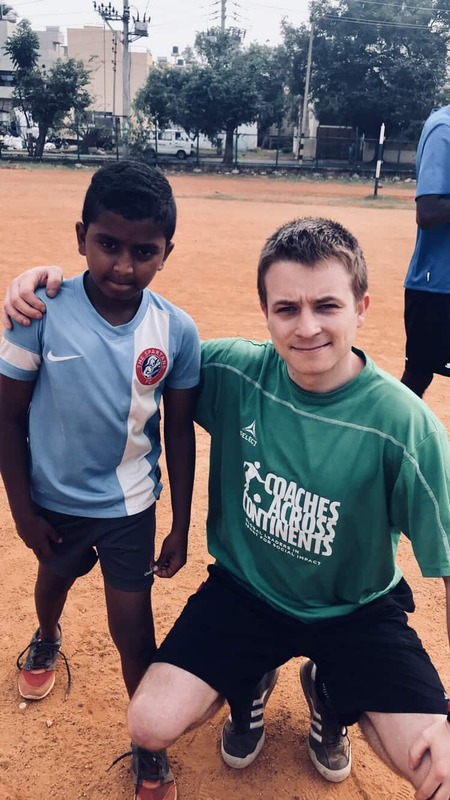 Michael Johnson Young Leader, Ryan, writes about experience working with Indochina Starfish Foundation (ISF) in Cambodia alongside Coaches Across Continents. 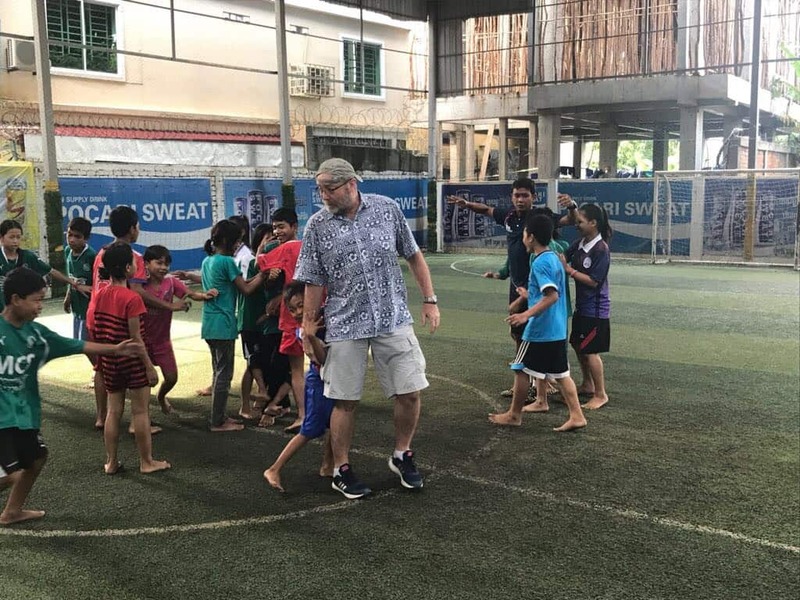 I went to Cambodia with a very open mind and was excited to see how CAC used football as a tool for social impact. I really liked the self-directed learning model they had in place. I have always felt very passionate about sport and I know from personal experience how life-changing sport can be. I wanted to learn more about the social messages that football has taught in the Cambodian community. 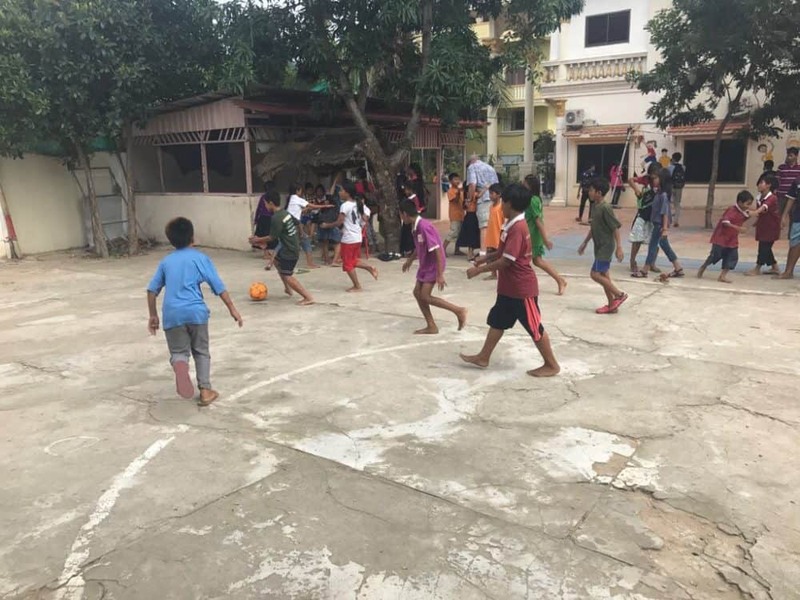 I realised that Cambodian people face a number of social issues and it really hit home how many messages through football help people facing these social challenges. 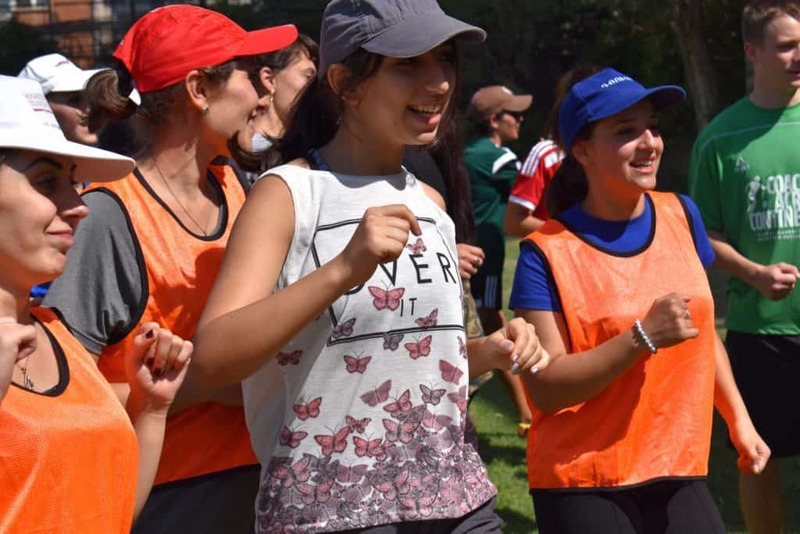 Not only face these challenges, but allow the coaches that Coaches Across Continents has been training to take these games and teach them in their communities, making a real difference to so many lives. On the first day of training, all the coaches from ISF (Indochina Starfish Foundation) were very welcoming and friendly. We had some younger players from a local program that works with young people who have been affected by HIV. 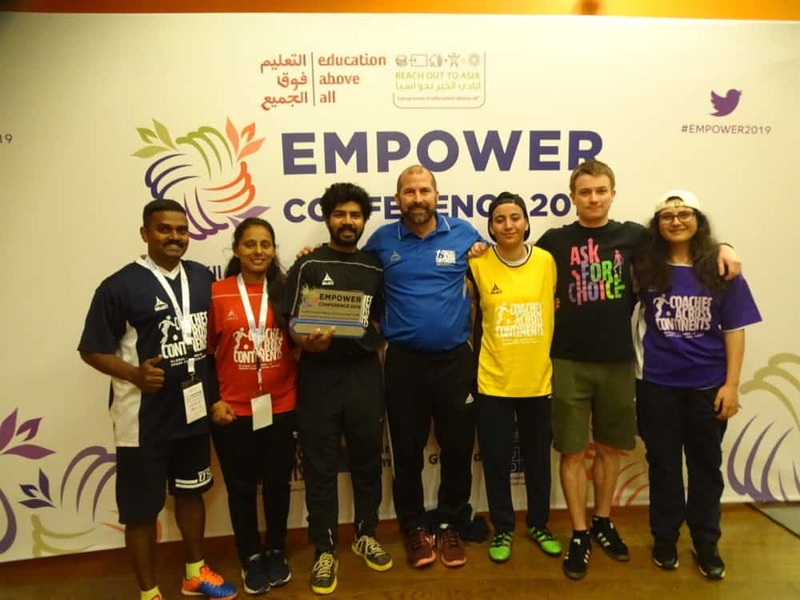 CAC coaches, Mark and Emily, ran games on the first day alongside Nara and Panya who are two experienced coaches that have taken part in the CAC programme for the last few years. 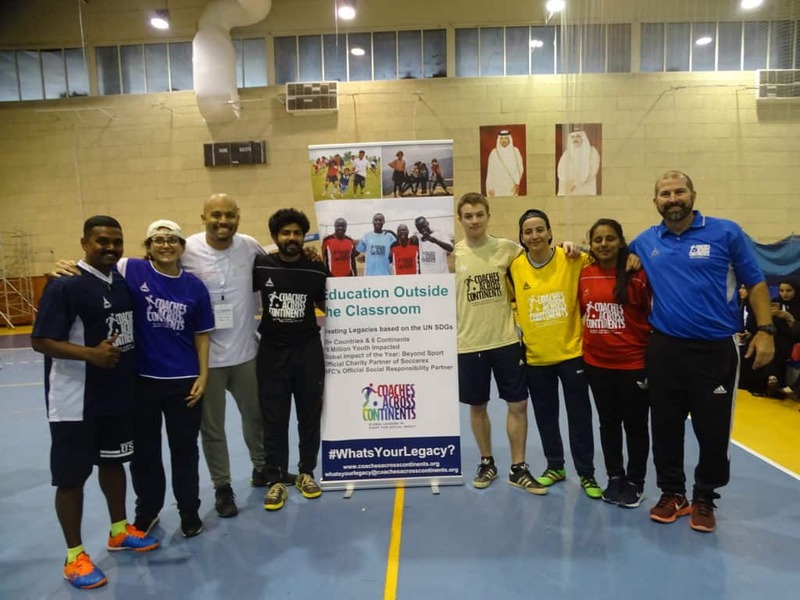 It was great to see all the coaches having fun – their love and passion for football was evident. Mark and I visited a disability session at Rabbit School in the afternoon and the session was great as it was very inclusive, fun and the coaches had a great relationship with all the students varying in disability. 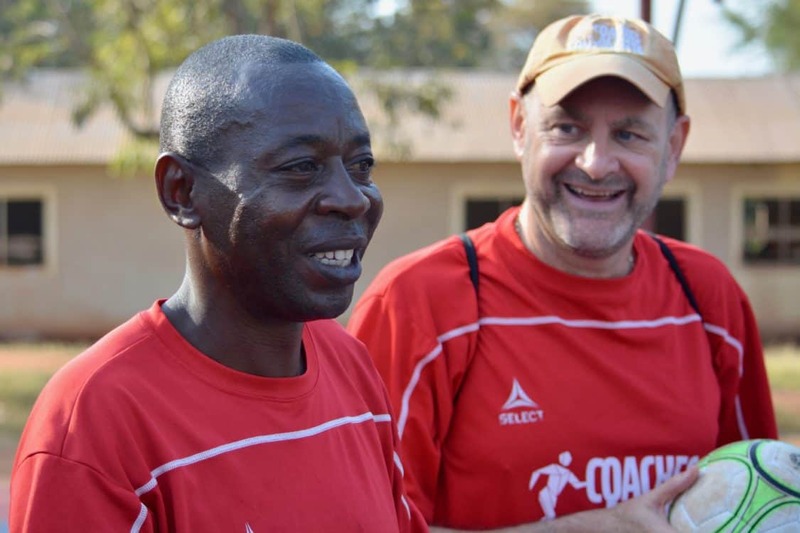 On the Tuesday we returned to the training field where some of the experienced coaches who have been in the programme with CAC before, were asked if they would like to run a game. A few of them put their hand up, and ran games that they knew and had used in their community before. 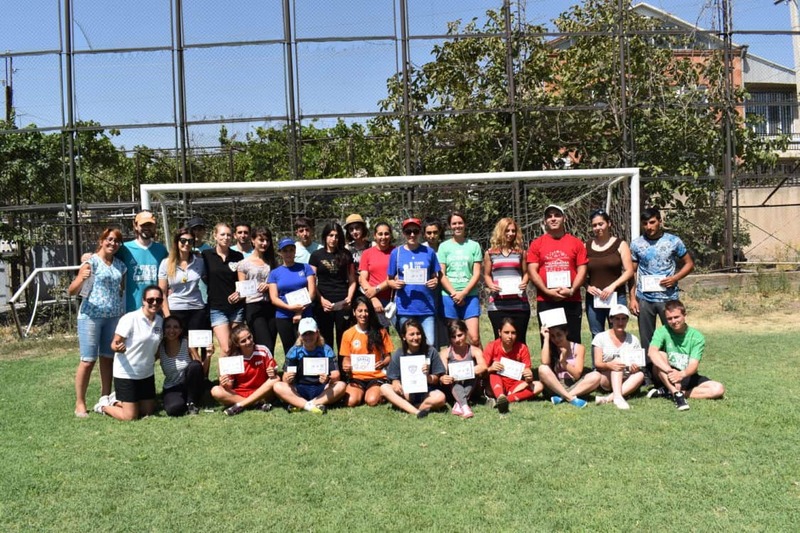 Many were CAC games but some were games they had created in their local community addressing social issues, inspired by the Coaches Across Continents Self-Directed Learning Model. In the afternoon we visited one of the ISF schools for kids whose parents are unable to provide their kids education. We met with some of the staff and students who were really friendly and we watched an afternoon football coaching session led by a some of the coaches from the CAC programme. Unfortunately Mark was unwell on Wednesday so the ISF coaches were asked to run more of the games. I also ran my own game too which was a trust exercise where we used blindfolds and I asked the coaches to guide one another through an obstacle course. In this I was also able to get the coaches to run as fast as they could with blindfolds on, which was fun for all. In the afternoon we visited another IFS school, which was much smaller than the school from the day before – but, all the teachers and students were very friendly and they welcomed us at the gate with hugs and lots of questions. They asked us our names, where we are from and whether we would play with them. 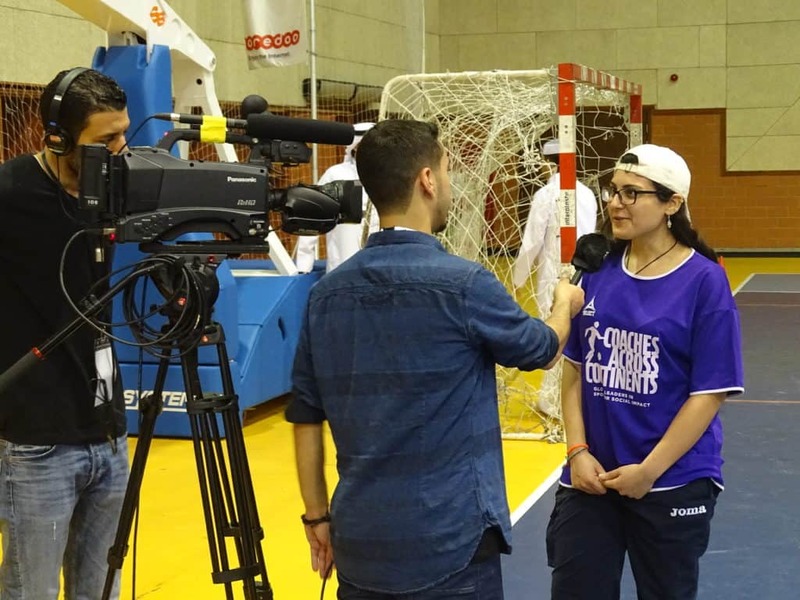 It was really nice to hang out with the students, watch them play sports with one another and see them having lots of fun. After the training on the Wednesday, the ISF coaches were asked to plan and run the activities for the Thursday. As we left after the training the coaches were all in discussions, planning the next day. When we arrived at the training field on the Thursday, the ISF coaches were all ready to go and beginning to set up their activities. They ran a morning of some CAC games but what was most impressive was that they came up with their own games too that had social messages. The training ran smoothly and was really well organised. In the afternoon we visited a school where the ISF coaches worked and there were four football sessions happening with both boys and girls of different age groups. The sessions were fun and it was great to see so many talented footballers at the school. On Friday, it was CAC’s turn to run some games and a lot of the activities were game orientated so the coaches were very tired at the end. But, they had good fun and can now implement some of these games in their coaching programmes. I ran a game too which I really enjoyed called Child Rights: Right to Education game. I really appreciate the impact of the social messages that these games provide. After training we headed for some food on the roadside with some of the ISF coaches and kids from a community hub supporting youth who have been affected by HIV. We went to their community and the ISF coaches ran a great session with around 50 kids using some of the HIV social impact games. It was great to see the ISF coaches working with the kids and the amazing laughter and excitement the kids had playing these games. It has been a great first week on field in Cambodia, it has been great meeting with all the coaches and seeing their coaching styles, and learning new coaching ideas from them. Seeing the close relationships with the kids they coach was the biggest take away for me. 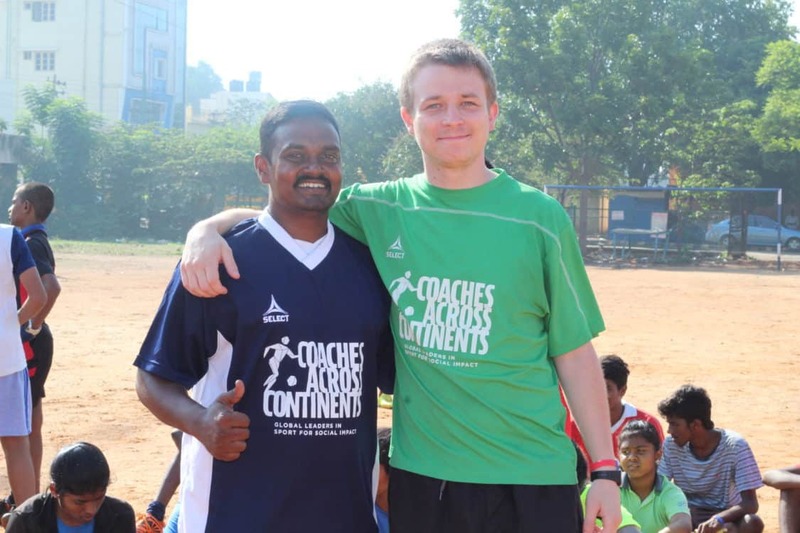 I am looking forward to seeing the ISF coaches coach more next week and personally learn more of the games CAC uses to help social change.